Quiet, calm, noise-free accommodation in a family atmosphere. Our boarding house is located in one of the busy main streets of Hódmezővásárhely, Szántó Kovács János u., opposite the water tower. You can see an old bourgeois house from the outside, the nature of which has been kept. In front of the hotel we have a car park for five cars and an ingenious wooden kangaroo flower stand. Next to the boarding house there is a small farmhouse converted into an inn, preserving the old hotel look. Walking through the doorway we can have a little “Alice in wonderland” feeling: spacious courtyard with a garden and a pond, patio, pool, large lawn, mini playground for children. This charming inner courtyard is unique in Hódmezővásárhely hotels. The pavement leads into the parking lot, with a winter garden on the right and the hotel rooms above them. At the end of the courtyard there are three two-storey apartments lined up, waiting for families. On the ground floor next to the hotel reception a bar quenching the guests’ thirst at any time. The tanning bed operates with 2-minute tokens. Our Finnish sauna has room for 2 people. It has been installed in the corner of the bathroom, so after a sauna guests can cool themselves in the shower, or in the corner tub. Upstairs there are 11 rooms in total, 6 of which are front rooms, and 5 are courtyard rooms. Out of the front rooms one room has 3 beds, 4 have 2 beds, but spare beds can be put in, and there is one double room with no spare bed possibility. 5 of the courtyard rooms are double rooms with no spare bed possibility. 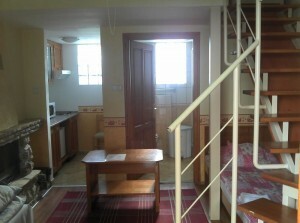 1 room has 4 +1 beds, single spaced, right up to the stairs. Every boarding house room has a private bathroom, laminated cover, a TV, telephone, and radio alarm. Each room has a closet, so the guests have plenty of space to put their belongings even if they stay for several days, so they can feel just like home. Each room has an internet connection with a wifi at the reception desk, and on the terrace. There is a computer in a separate room reserved for the guests, where they can get information about Hódmezővásárhely easily and quickly. The cozy hotel rooms are connected by a little hall, where residents can meet for a chat. Green plants, ancient artifacts, including a sewing machine, and the colored lacquered columns create a unique atmosphere. One benefit of the boarding house is completely separate from the hotel, therefore guests do not disturb each other, because for example if a lot of children live in the boarding house wing, other families can rest and relax in quiet in the hotel wing. The boarding house is recommended for who want to spend some time with their loved ones in a family atmosphere. The can have a rest and recreation in a peaceful courtyard by a pool, and they can use a free parking lot.